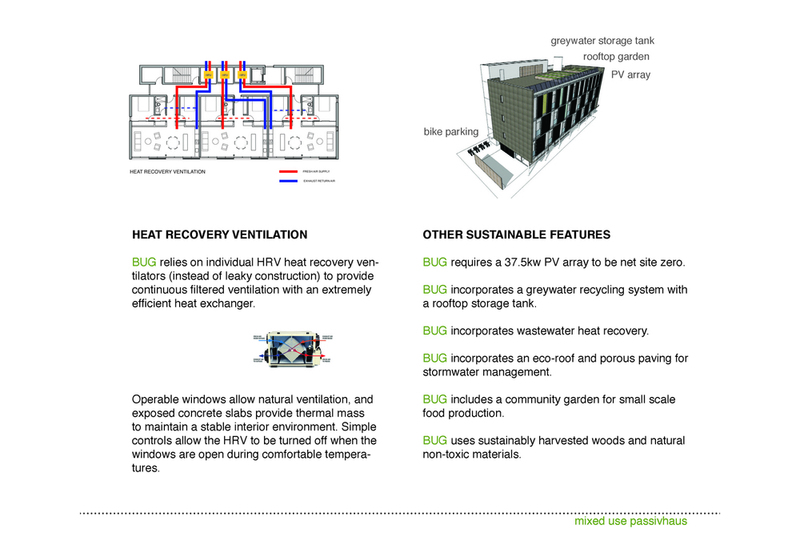 BUG (Beech Urban Gardens) is a new mixed-use building in the the heart of the N. Williams corridor, designed to meet passivhaus standards and substantially raise the bar on energy efficiency. 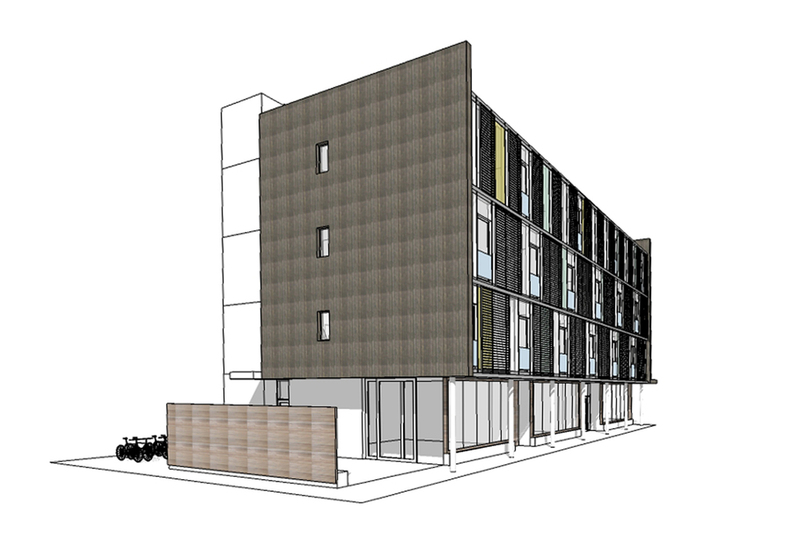 Seven residential units are located on the top two floors with six creative offices situated above three ground floor retail spaces. 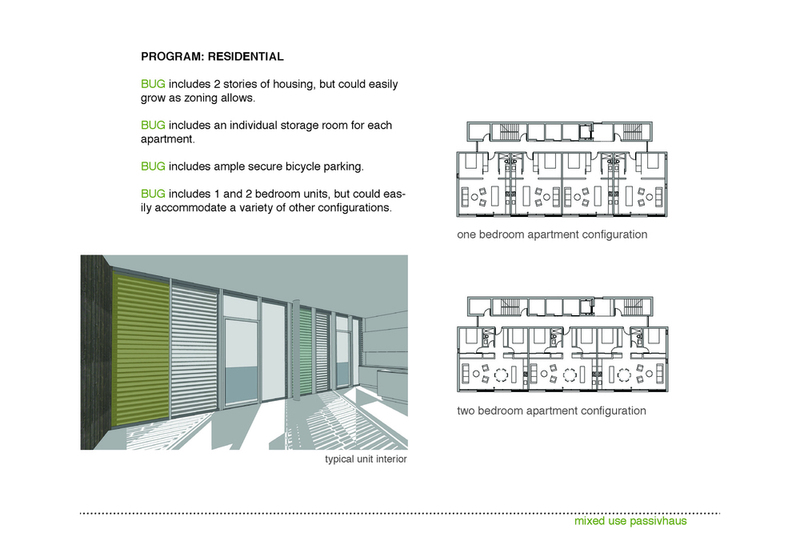 BUG features a fully glazed south facade utilizing triple glazed windows, air tight construction with a heat recovery ventilation system, and a super insulated building envelope. 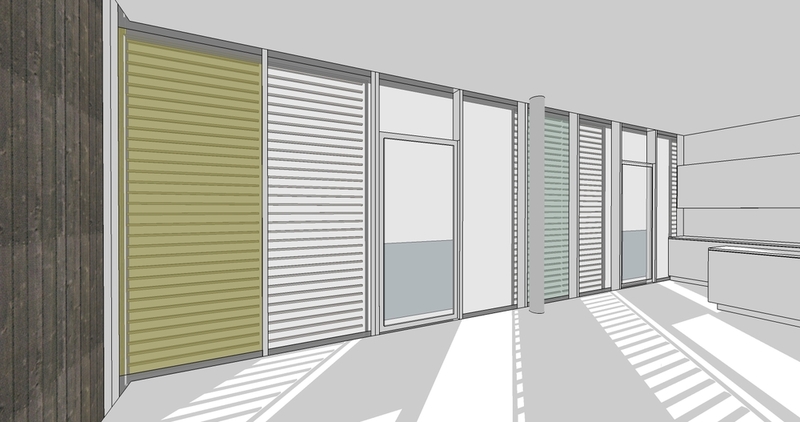 A system of sliding wood shutters is incorporated into the facade to provide complete external shading in the summer and eliminate overheating without the use of mechanical cooling. 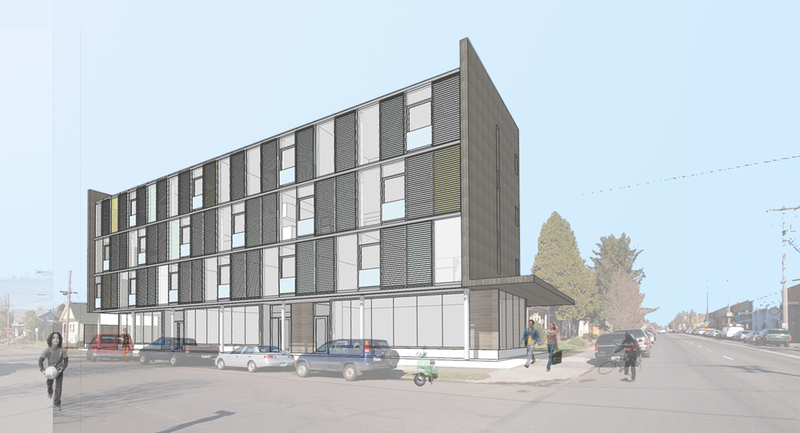 The roof features a community garden, a huge terrace with views to the neighborhood and the city, and integrated photovoltaic panels providing all of he building electrical needs. A greywater recycling storage tank provides gravity fed water for the rooftop gardens and the building below.